10 helpful tips for voiceover booking success. We hear you – it’s super frustrating! While it’s easy to attribute the cause to an outside source, it’s important to remember that the role of agents and voiceover casting sites are simply to send you opportunities. It’s up to you to seal the deal. Take this as a sign to evaluate what goes on in your voiceover booth and see where you can make some adjustments to elevate your auditions. Are your vocal characteristics and delivery style truly what the client wants for the project, based on the specs, or are you trying to fit yourself in a box? Be honest. 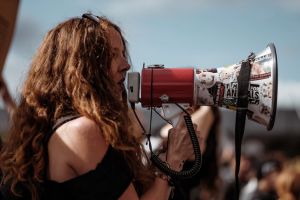 Your voice isn’t the right fit for every project and you could just be wasting your time on this one or chalking it up to a practice opportunity. Take a few minutes to research the product or service that the script is about. Not only will you learn a bit about what you are actually selling, but you may find a little something extra while clicking around their website that helps deepen your personal connection to the voiceover copy. Your audition may get passed over simply because they need a :30 and you read a :45. Producers are busy and don’t have time to figure out if they can get the exact read you gave them in the time frame they need for voiceover. Don’t crank out voiceover audition reads indiscriminately. Stop, read, digest, THEN do your first take. And then do another where you take a risk and play outside of the box. And another where you add your personal flair that no one else can give it. Which one is your strongest read? That’s the one you submit. You want the Client/Buyer/Producer to be able to imagine your audition as their actual project. If it is full of breaths, background noise, or pockets of silence, they may pass it over. Note: there is no need to add SFX or music – that’s the audio engineer’s job, not yours, and you could rub someone the wrong way by making assumptions about the creative direction. Connect with a voiceover coach you trust and dive into working on an ACTUAL audition (not just general coaching). Awareness of habits you’ve slipped into and new ways to think about a product or service are just a few things that could come out of a session like this. The voiceover industry moves more quickly than ever before, so don’t wait until the deadline to audition if you don’t have to. Get in there, get heard, and win the job. Clients are doing their digging to be sure they are hiring quality voice talent for their project. Are you presenting yourself as the type of talent you want to be seen – as across all digital platforms? Is your social media presence professional and current? We’re committed to your success as a pro voiceover Talent and hope you find these tips helpful!